Redpath - 9200FI - Supertwin Greenhouse by Redpath Ltd. 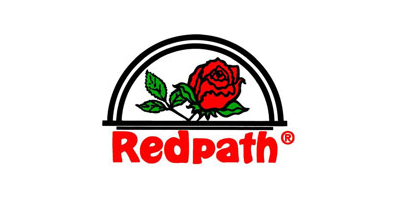 The Redpath Supertwin greenhouse is used mainly for year-round production of vegetables, flowers and nursery crops that require accurate environmental control irrespective of the outside conditions. This design is particularly suited to crops that require warmer conditions in winter or for growers that are planning to heat their greenhouses. The dedicated twinskin cladding being up to 50% more efficient than other claddings for energy retention and thus making it a greenhouse that is low cost to heat. The cosecant rafter 'A' frame design is a unique Redpath feature and it allows superior light transmission through to the crop via its reduced overhead structural shading. The truss/rafter is also 'curved' so that any internal condensation is prompted to run to the edge of the roof sheets where it is trapped by an aluminium internal condensation trap. By reducing condensation light is further increased and damage from overhead dripping is eliminated. The double ridge ventilation system incorporates a 'raised ridge apex connector' - allowing growers to partially ventilate the greenhouse even in poor or wet/humid weather conditions yet still allow moisture and rain to run off the ventilator opening, the roof ventilator also includes aluminium draft strip upstands along the full length of roof vent closure points which provide a weather flashing. The roof ventilation is typically fully automated with high quality 'Dutch' Ridder vent drives - although manual control is an option. Insect screens may be fitted to this design to eliminate small pest entry into the greenhouse. Gutters are a 250mm wide structural part, and of 'walkthrough' design. The gutters allow substantial rainfall catching and easy access to the roof for maintenance and equipment. All gutters include a 100% rust-proof rain head at gutter ends to catch and duct rainwater to downpipes. Gutters are included standard on outside pole lines also. Redpaths 5 Year gold series warranty applies to this design. Roof Ventilation Design: Double ridge butterfly (32% floor area vented) Note: single vent system also available. Vent drive systems: Dutch high quality 'Ridder' designs. Gutter design: Wide 'walkthrough' Vee gutter, steel, powder coated, gives easy & safe access to roofline. Crop loading: 30kg sq/m , greater if required, crop kit system included upon request. No reviews were found for Redpath - Model 9200FI - Supertwin Greenhouse. Be the first to review!